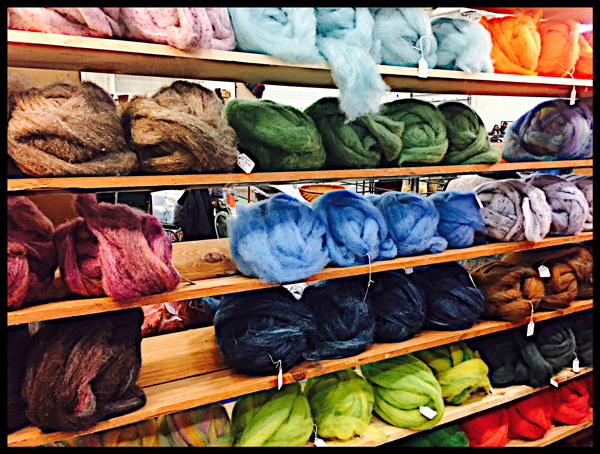 Years ago I scored a beautiful Alpaca jacket that has become my favorite Fall coat for its warmth and softness. The label depicts the silhouette of an Alpaca, an animal I knew little about. 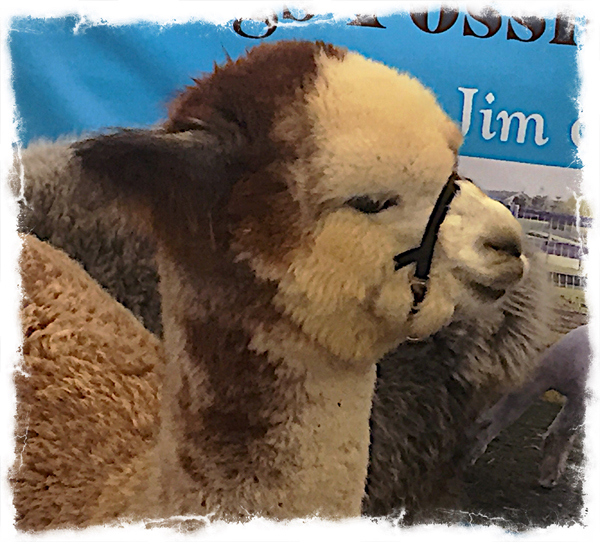 So recently, I attended the Wisconsin Alpaca and Fiber Fest at the Washington County Fair Grounds to get up close and personal with these Peruvian camelids. 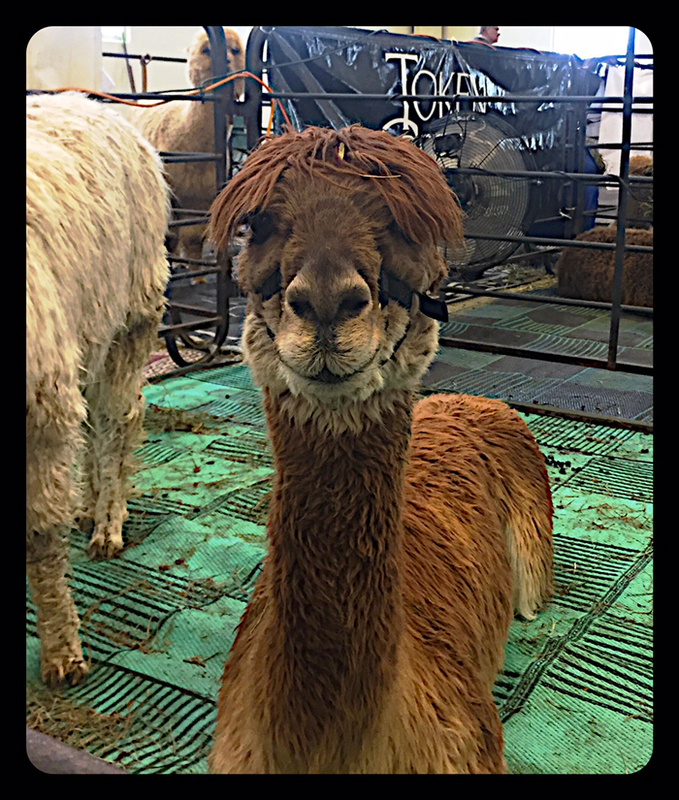 I learned they are varied in coat, color, and temperament. And that every rancher loved their charges. 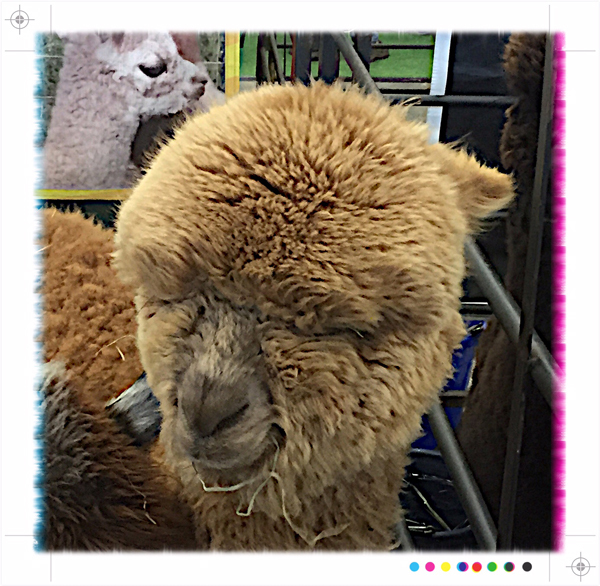 Alpacas like to hang out with other Alpacas and communication involves a series of hummed exhalations. They certainly charmed all the people attending the Fest. Naturally, I couldn’t resist taking a few photos.